Universiti Teknologi Malaysia is a sprawling campus designed in the 1970s in the southern state of Johor in peninsula Malaysia. The design attempted to create a Malaysian architecture with the use of traditional Malay building forms, but constructed in concrete rather than timber, and the details are blown up. At the entrance, the mosque is an eclectic combination of middle-eastern styles. An interesting part of the campus is the low-cost housing for workers tucked in a hidden corner. 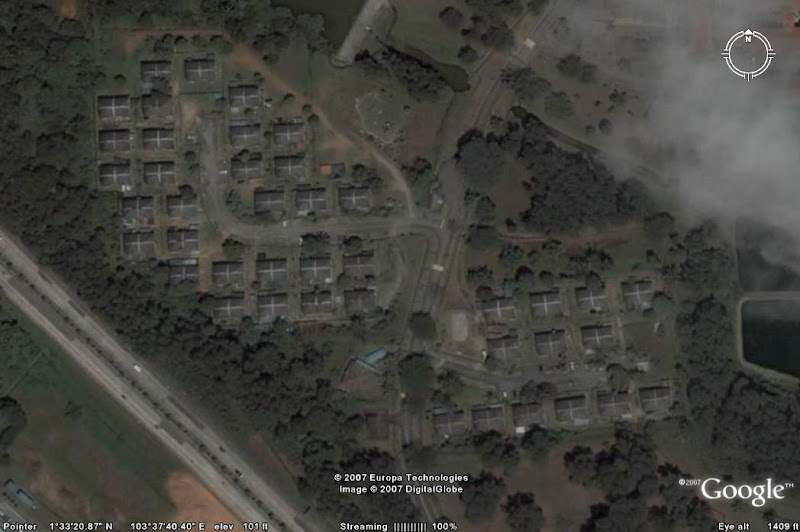 These are what I believe to be the first adaptation of the quadruple house in Malaysia. 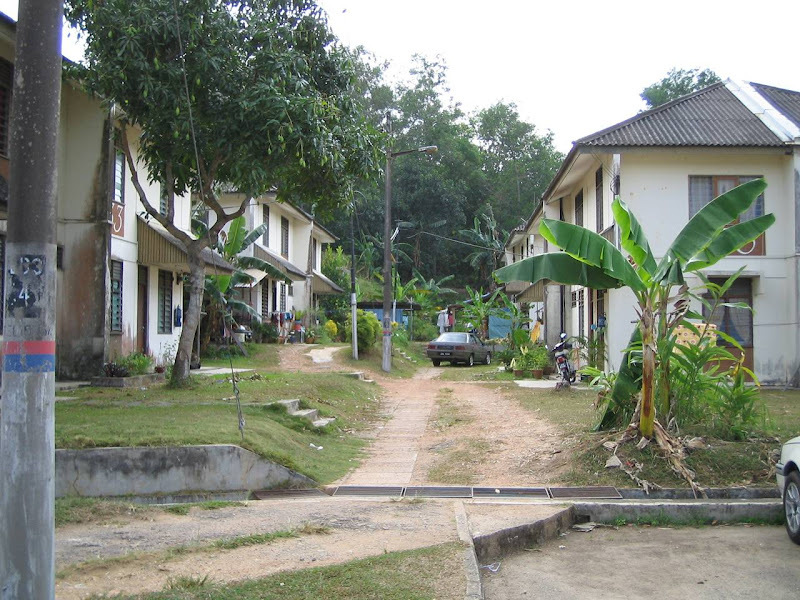 It is workers housing at Universiti Teknologi Malaysia, built in the 1970's. I believe that it was designed by the university's in;house Project Office. The houses are more like the ones in the Cite Ouvriere in Mulhouse rather than Frank Lloyd Wright's Quadruple House: most of the houses front a pedestrian footpath, and they are called cluster houses. It's a public holiday here in Malaysia - we are celebrating Independence Day. I'm afraid there'll be a few more posts about Malaysia! I am the sort of hombre who loves to seek different stuff. Currently I'm fabricating my personalized pv panels. I'm managing it all by myself without the aid of my staff. I'm utilizing the net as the only way to acheive this. I ran across a very amazing site that explains how to create pv panels and so on. The place explains all the steps involved in photovoltaic panel building. I am not sure about how accurate the information given there iz. If some experts over here who have experience with these things can have a see and give your feedback in the page it will be grand and I would extremely value it, cause I really passion [URL=http://apennootje.blogwogin.com/2009/11/10/solar-panel-construction-at-home]solar panel construction[/URL].